Shadow Warrior: How To Get changed. New Year Gift Box: new item. Super Sale Shop: now from 2019-01-03 00h to 2019-01-10 00h by your game time. The Lost Scabbard: new item. Heroes: new tags, 61 heroes updates tags. Shallows Keeper: skills was improved. Forest Chomper-Rose Valentine Skin: new item. Flame Dancer-Rose Valentine Skin: new item. Great news for active players. 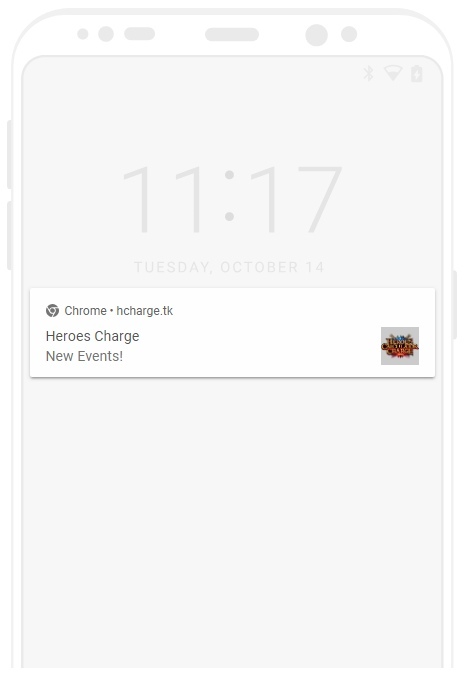 Now you can receive alerts about upcoming events before anyone else! The site will ask you a question, do you want to receive alerts? You need to click the "ALLOW" button and then "Allow". Click the menu icon in the upper right corner of the Settings screen . At the bottom of the page, select Advanced. In the "Privacy and Security" section, click Content Settings . 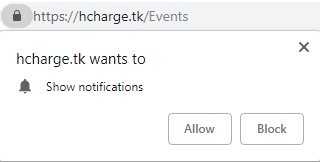 In the "Block" section, find the site and enable notifications. Information about tomorrow's events is updated at 11:01 and 16:01 by GMT. But you will receive alerts only if events have changed. PS Tested on Google Chrome, but should work on all browsers with the Chromium and Safari core on any platforms and operating systems. Heroes: added a "fire" tag in skills (14 heroes affected). Forest Chomper : skills was improved. Forest Chomper : added skin. Flame Dancer: skills was improved. Martial Arts Master: How To Get changed. Super Sale Shop: now from 2019-02-13 00h to 2019-02-27 00h by your game time. Super Sale Shop: now from 2019-03-05 00h to 2019-03-12 00h by your game time. Now you can use skins in TeamsPlannerLite and TeamsPlanner. Vengeance Spirit: legendary skill updated. Chicken Dinner: new site section added. Chicken Dinner: lot of changes. Cleric: passive skill, ultimate and 3rd skill reduced. Deathknight: passive skill and skin skill enhanced, legend skill reduced. Imperial Marshal: ultimate and passive skill enhanced. Desert Eagle: ultimate and 2nd skill enhanced. Minstrel: ultimate cool down increased. Blade: stats increased, initial stars decreased to 2. Totems table: updated(last totem reduced). Flame Dancer: How To Get changed. Spell Swordsman: How To Get changed. Shadowleaf-Delta Squad Skin: How To Get changed. Master Mage: skills was improved. Chocolate Egg: changed expire time to 2019-05-03 00:00.